We must ask that all patrons observe our range rules. Those that disregard our rules will be escorted off the range without exception. First and most importantly - THINK GUN SAFETY! Treat all guns as if they are loaded at all times! 2. ALWAYS control your muzzle direction. 3. Keep your finger OFF the trigger and out of the trigger guard until ready to to fire. 4. Be sure of your target and its backstop. 1. Alcoholic beverages and drugs are strictly prohibited on the premises, including the use of these substances prior to shooting. Anyone that exhibits an impaired state of being will be asked to leave the premises. 2. No armor piercing, tracer, or other exotic ammunition permitted on the range at any time. 3. No holster draw permitted at any time. 4. Minimum age to use the range is 18 with a long gun. Persons under 21 years of age using a handgun must be accompanied by a parent or guardian who is at least 21 years of age. Only one child under 16 years of age per lane is permitted with a parent or guardian. Parents or guardians that do not have control of their children will be asked to leave the premises. 5. Food and open container beverages are not allowed on the range. Only non-alcoholic beverages in plastic bottles that have a screw cap are permitted on the range. 6. No Smoking on the range or in the showroom. Due to the nature of lead dust and un-burned powder residue on the range, smoking is prohibited. 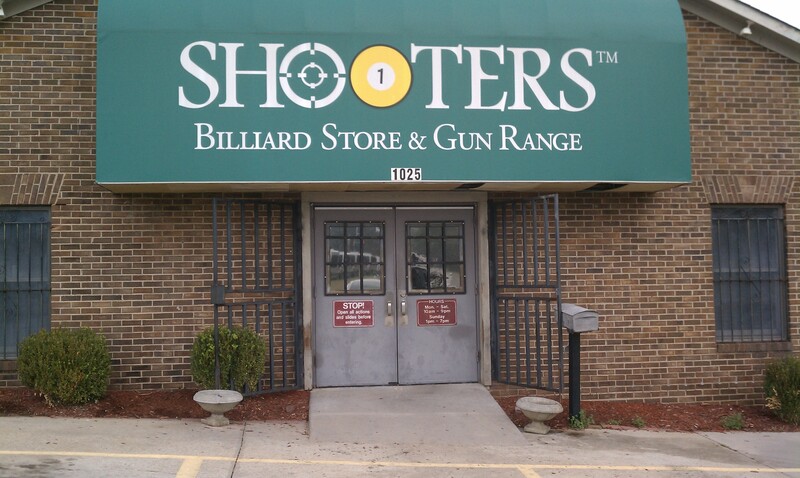 Shooters is a tobacco and smoking free facility. This includes chewing tobacco, dip, snuff, and non-tobacco dip/snuff products. 7. Ear and Eye Protection are mandatory for anyone entering the range area. 8. NEVER move forward of the barricade. Request a Range Office to retrieve any equipment that has fallen forward of the firing line. 9. Leave the action open on any firearm resting on the bench and when entering or leaving the range. STOP FIRING IMMEDIATELY, place the firearm on the bench with the muzzle pointing down range, and request assistance from a Range Officer.